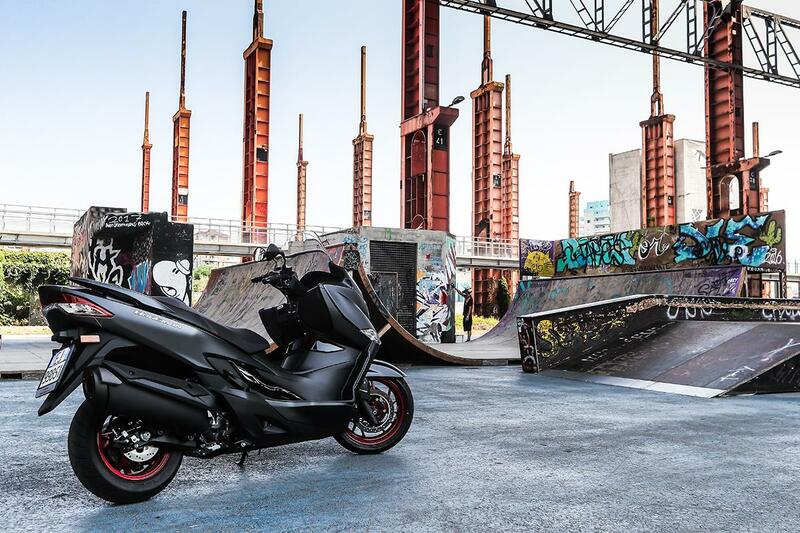 It’s almost 20 years since Suzuki invented the maxi scooter with the Burgman 400. 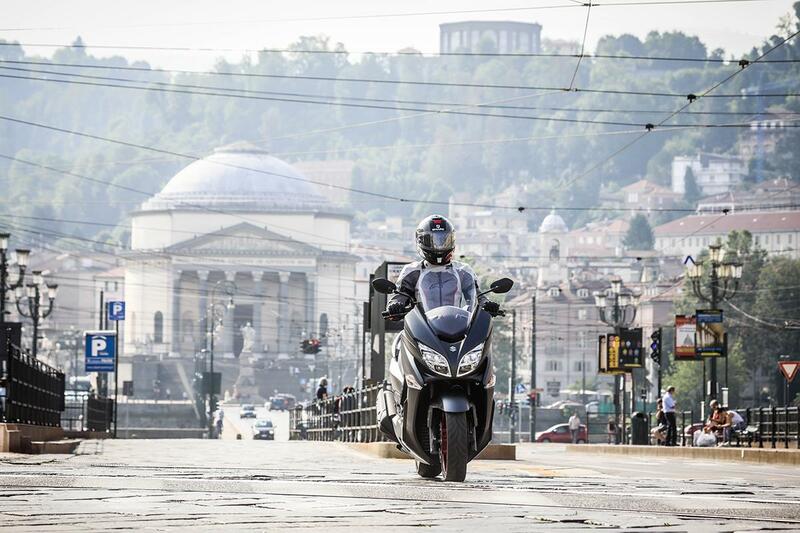 To celebrate Suzuki has brought the popular machine up to date and I spent a weekend with the new machine in the bustling Italian city of Turin. With narrow cobbled streets and spectacular mountain roads, it's a great location to put the Burgman 400 through its paces. 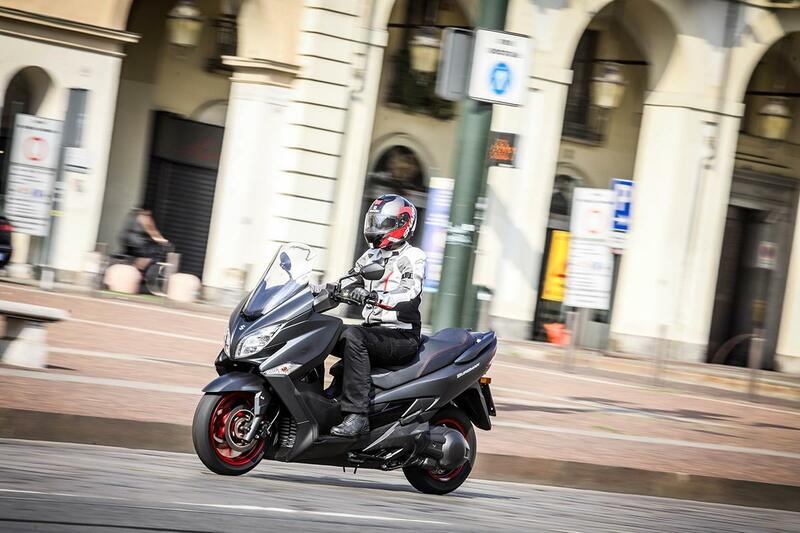 If you want more from your scooter than just commuting ability the Burgman 400 is a great all-rounder. 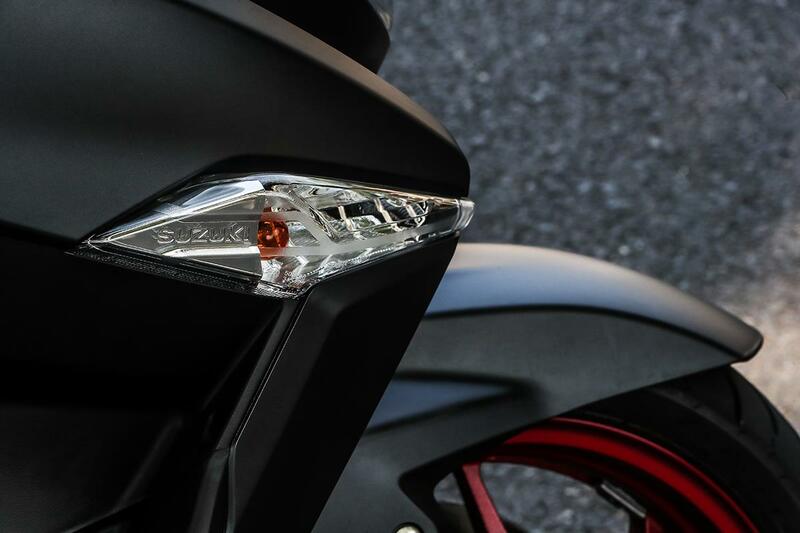 Around town throttle response is smooth and instant, which is useful when you need gap grabbing punch, while an increase in low to mid-range torque over its predecessor makes it even quicker to get up to speed than the old model. 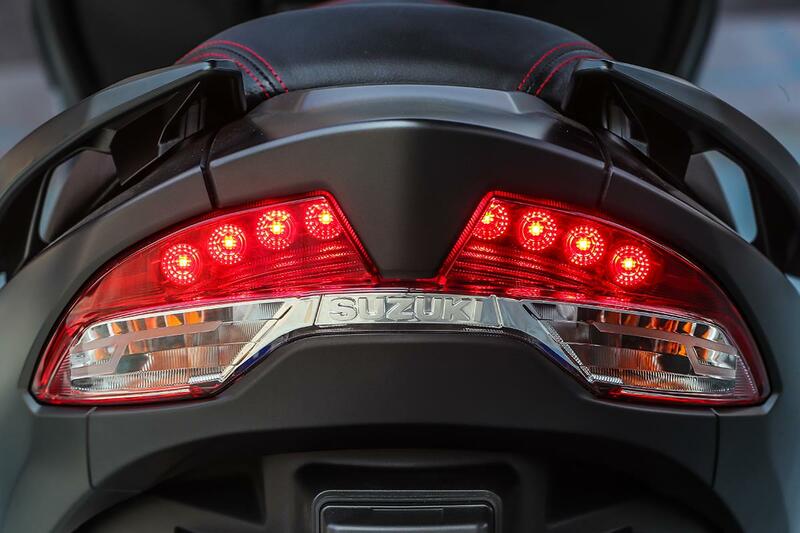 Suzuki have made the frame more rigid, slimmed down the bodywork and replaced the 14-inch front wheel with a 15-inch rim, making the 400 more stable at speed yet still manoeuvrable around town. They have reduced the overall weight of the machine by 7kg. 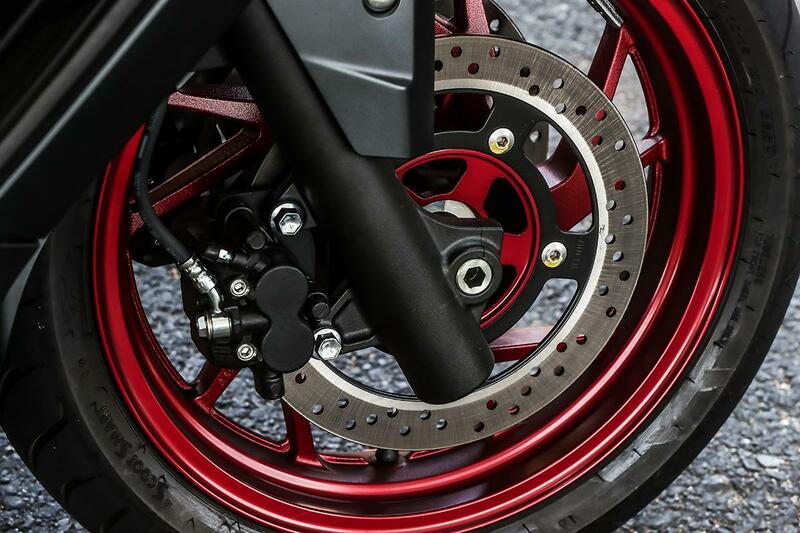 The seven-step preload adjustable rear shock – a rarity in this class – will suit any type and shape of rider and is specifically designed to cope with a pillion. 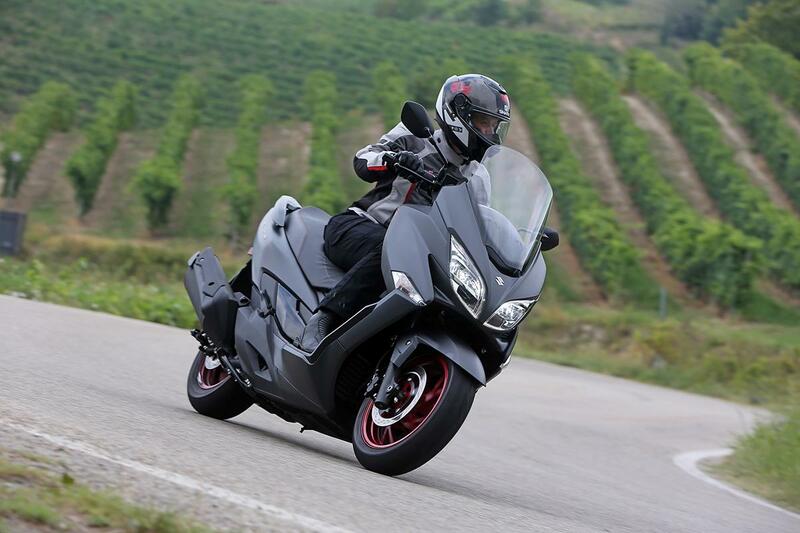 The Japanese firm have worked hard to improve the looks, usability and rider comfort of the the Burgman. The seat height is increased to 755mm (though its width has been reduced to compensate), while its comfort padding is 20mm thicker and there’s now an adjustable lumber support. Newly shaped foot boards make it easier to get your feet down. These updates make the 400 feel low and roomy and inspire confidence, particularly around town. To keep up with Euro 4 regulations, the Burgman 400’s 30.5bhp, 400cc single-cylinder motor has a new catalytic converter and iridium spark plug. 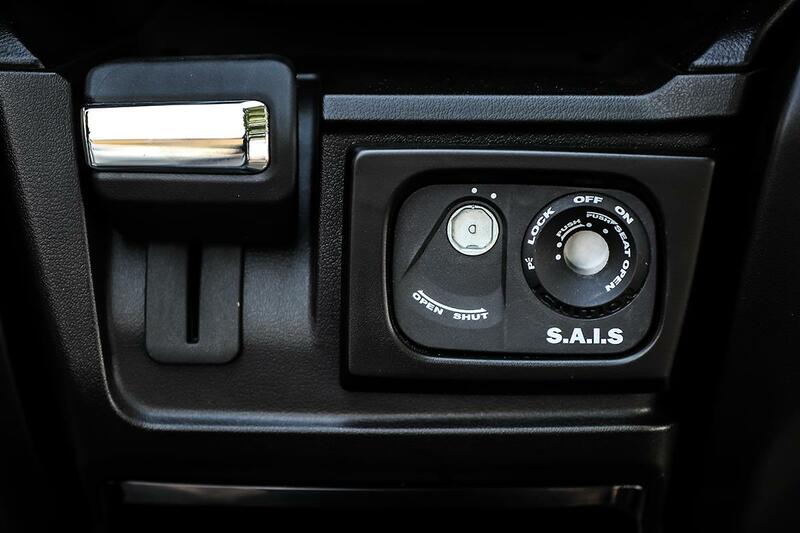 Throttle response is smooth and the power instant, which is useful when you are in need of an extra little punch.There’s an increase in low to mid-range torque, compared to it’s predecessor, so it’s quicker to get up to speed. The brakes are efficient without being grabby and now have a lighter ABS system, which contributes to the Burgman’s overall weight reduction. Like other maxi scooters it has a parking brake located on the dash. Suzuki claim 70mpg, which gives it a theoretical tank range of in excess of 200 miles. An Eco Drive indicator reminds you when you are getting a little throttle happy, which helps to improve fuel economy further and save you some cash. 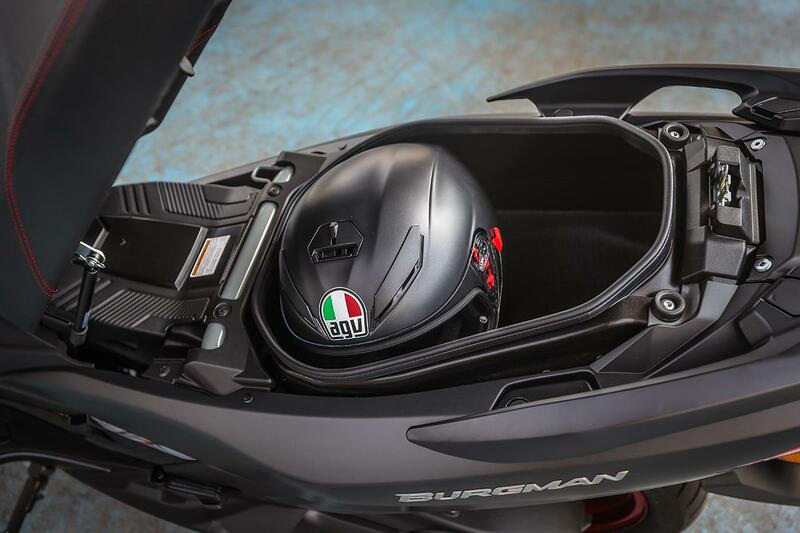 The new 400’s slimmer rear end slightly compromises under-seat storage. That said there is enough space for a full-face lid and riding jacket. The two glove boxes are big enough to hold daily essentials and one houses a 12v charging point so you can keep your mobile charged. 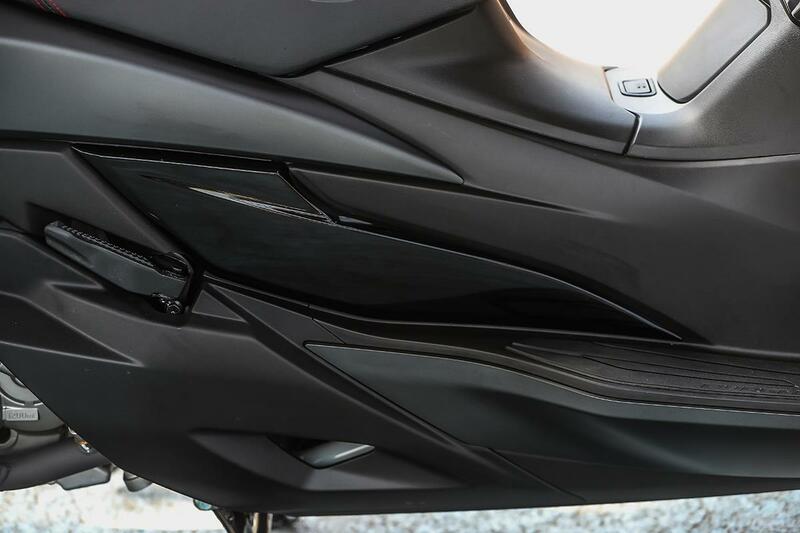 With scooter theft worryingly on the rise, it’s good to see Suzuki have fitted an immobliser. There’s also an entry point in the bodywork to fit a chain through and lock it up. 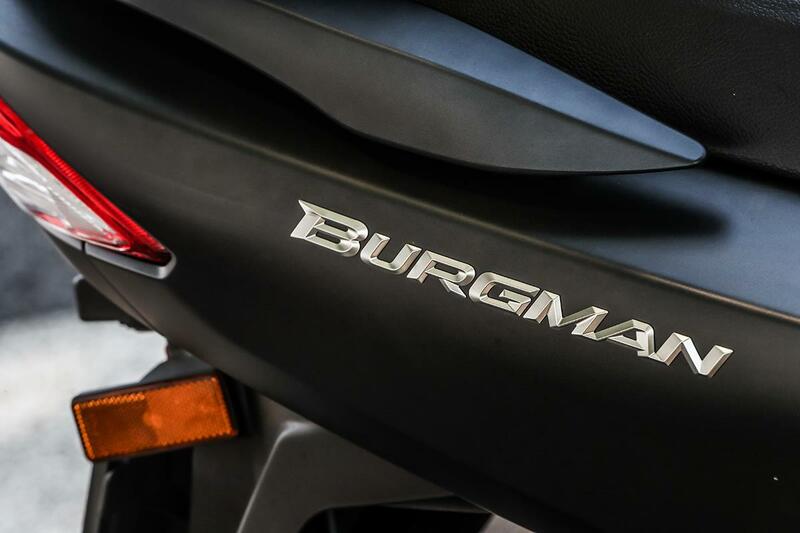 The new Burgman 400 will be in dealers later this year and will compete with the likes of the updated Yamaha X-Max 400, which is due to be launched in September, costing around £6000. 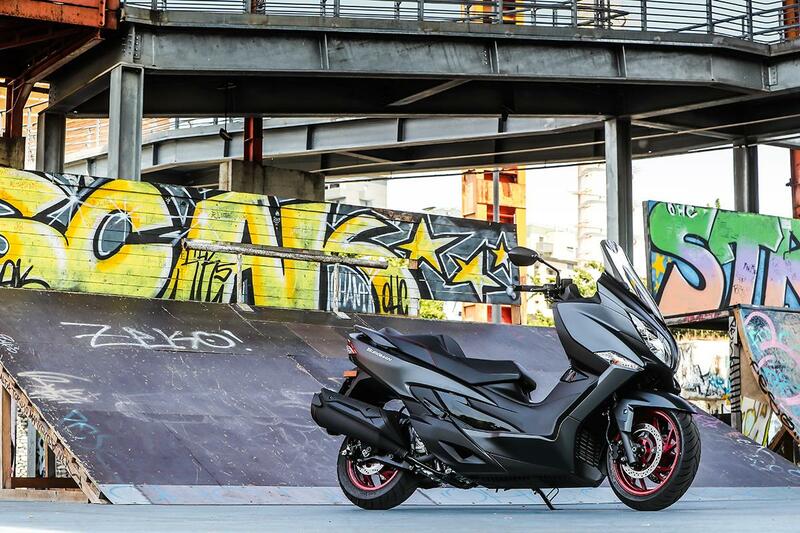 Suzuki have brought their Burgman 400 up to date with improved performance and sportier looks. 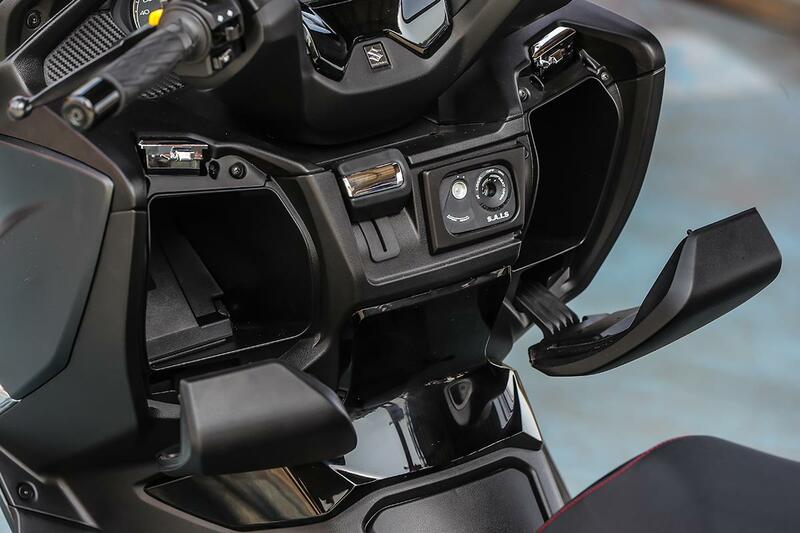 It’s more nimble around town and the revamped 400cc single cylinder engine’s improved low to mid-range torque ensures a swift and progressive ride on the open road. 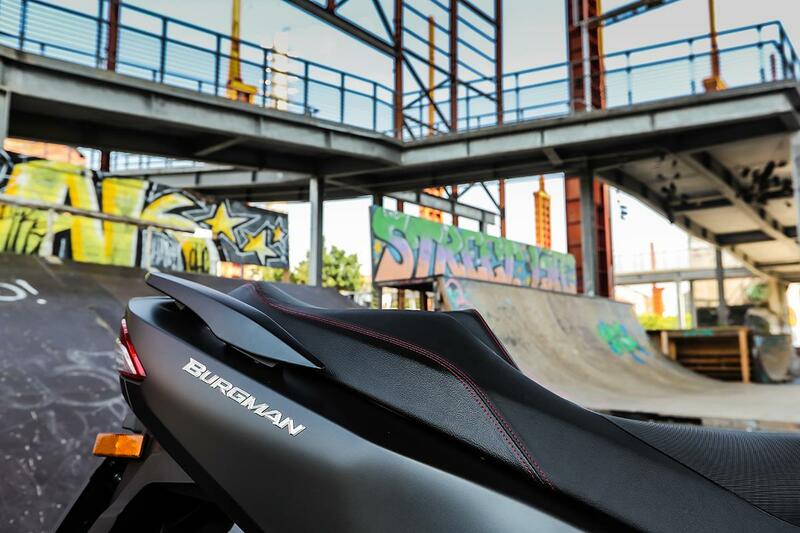 During the 20 year history of the Burgman the range has grown and improved. This latest update to the 400 gives it more of a look of the baby brothers in the range. Here’s where it fits in with the rest of the family.